Crooks & Castles released an album of 19 tracks in April of 2009, entitled, Soon You'll Understand. 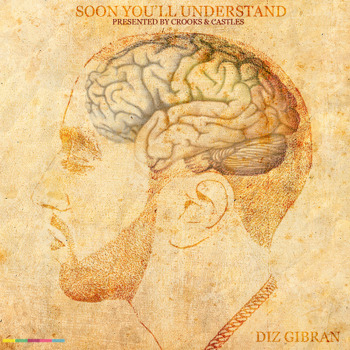 This album is presenting, the artist Diz Gibran to the masses. The sound of it, is something I call, R & R or Refreshing & Rap. The drops, the music, the flow all give me a cool, calm and inspiring vibe. Im feeling a lot of confidence from this artist and that translates into fans, niiiiice! The first video from the album is for track #16 Truly Yours feat. BJ the Chicago Kid. I like this song and the video is simple but still has merit. Im feeling this Crooks Album, yo! Download the Crooks & Castles album here.